ascended masters, and goddesses to empower you to channel the divine healing power of Heaven and Earth. 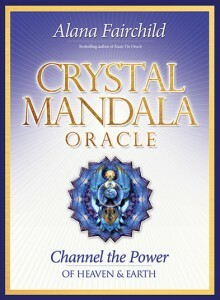 in Alana Fairchild's popular books Crystal Angels 444, Crystal Masters 333, and Crystal Goddesses 888.
frequencies of the crystals and higher beings that are featured in each of the cards. growth and help yousuccessfully pass through spiritual tests and initiations. opening your heart to divine beauty and empowering your soul with loving consciousness.